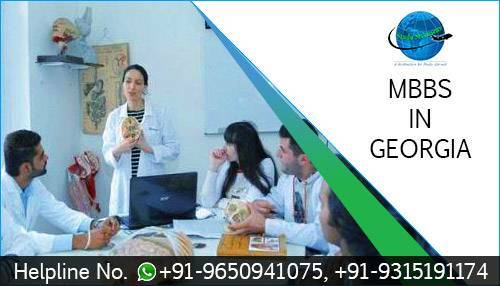 MBBS in Georgia is becoming very popular for the students who wants to pursue their MBBS in abroad and especially in Europe. Indian students who have average academic score of 50% in Physics Chemestry and Biology can go for high quality education with affordable tution fee and living cost for MD / MBBS in Georgia. The Tution Fee for MBBS program in Georgia vary from 4000 USD to 5500 USD per annum, that also depends on the University Ranking, Location, Facilities, Courses and Infrastructure etc. The living and Fooding cost in Georgia ranges from 200 USD to 350 USD per month. MBBS course duration in Georgia is 6 Years. It includes 1 year of internship. Students can undoubtedly go for affordable MBBS in Georgia. It is a crime free, safe and well-known nation offering pleasant studying atmosphere and also female friendly. Georgia is one of the most promising economies in Europe and the favourite destination for MBBS in Georgia at a very competitive fee. The percentage of the growth in the country has been remarkable. It has achieved overall development in the last one decade. Today, it has become one of the most loved overseas education destinations for the Indian students specifically for MBBS in Georgia giving global exposure. You will find the country safe in all terms. Bounded to the north by Russia, Armenia and Turkey in the south, southeast by Azerbaijan, and west by the Bank Sea, Georgia is a safe place free from violence and terrorist activities. Today not only students from India but from the every nook and corner prefer pursuing MBBS in Georgia from the MCI endorsed Medical Universities. At present, is considered a secure education hub for the foreign students travelling from India and other countries for MBBS in Georgia along with the other courses in medicine. For the travelers, tourists, and students Georgia offers a peaceful and comfortable living within your own budget. You will find numerous options to enjoy joyful stay and take delight in the good standard of the living independently or with your family. For the students determined for MBBS in Georgia and is unable to afford more spending, it is the best choice. The crime rate in the country is low compared to the other places in the world. It is in the top 10 safe country with low crimes. Thus, it offers a safe and secure studying environment to the millions of the medical and other foreign students. The country is indeed the best option for the bright students planning to study MBBS in Georgia from the top ranked medical universities. Students can certainly take the advantage of the good lifestyle at an affordable cost which is comparatively too low than USA and UK. In addition to the affordable living, the nation also provides good employment opportunities to students while pursuing medical studies in the different universities in Georgia based on ones individual caliber. The climate, facility of food, low pollution, hassle-free availability of the essential products & services at an economical cost are some of the favorable factors attracting thousands of the candidates looking for the admission in the top universities for MBBS studies in Georgia. The student should not be less than 17 years in age on or before 31st December for the provided admission year. The student must have completed 10+2 examination from Science stream and from a recognized board of the country like CBSE and ICSE etc. The student must have studied Physics, Chemistry & Biology as the core subjects in 12th class along with English as the supplementary subject. The student must have cleared 12th class with minimum 50% in Science stream. According to the new addition by the judiciary of India, the student must have qualified the NEET examination with the required minimum percentile. Although not all the universities in Georgia require English proficiency however some Universities require the student to clear TOEFL/IELTS/PTE exam with an acceptable result before the admission. MBBS Fee Annual (INR) Approx. The education system followed and the education quality in Georgia is highly competitive. It presents an excellent opportunity for the aspirants from the various nations willing to pursue MBBS in Georgia. The hundred percent literacy rates prove the nation’s education standard. The government and the citizens are very much aware of the limitless importance of education in life and hence people are self-motivated towards the studies. There are a many favorable reasons that make Georgia a favorite destination for the aspirants seeking admission to MBBS universities in Georgia. The course curriculum for the medical studies is considered one of the toughest and so the colleges and universities help MBBS students complete their courses with ease and create a unique niche in the health sector in India or in other nation. Now students from economically poor background also can fulfill their dream of studies in medicine from Georgian Medical Universities because of the low course fee, economical stay, good food, worry-free admission process, and above all the unmatched MBBS study support in the medical universities. A good number of the MCI approved Universities for the MBBS study program in Georgia, no entrance test, better living standard at a low cost, good culture, and facility to practice in Georgia are a few of the additional advantages that are in the interest of all the applicants applying for the admission to the different courses in medicines. Now the only a little thing you need to do is to make up your mind, make the essential arrangement, and get in touch with us at Study Sevenseas for the total solution to your MBBS admission abroad need under single roof in Delhi. WHY GO FOR MBBS STUDIES IN GEORGIA? There are undoubtedly a few noteworthy reasons that make Georgia the prime choice for the students coming from the different section of the society in the country India to pursue MBBS in Georgia. One of the key reasons is the competitive course fee, affordable cost of stay, low miscellaneous charges that has become the key source of attraction for the students especially from the low income group families. The country Georgia is well-known today for the advanced and medical studies across the globe. With the growing percentage of the applicants over the year many medical universities developed at the varied locations in the nation. Today, you will find the solution to your education need across the fields. Why struggle elsewhere when you can seek admission in the different courses in the prestigious Georgian Universities with great ease. Yes, you heard it right. You will find a number of the MCI endorsed Medical Universities in Georgia offering a wide type of the short and long term courses in medicinal studies. You can certainly get your dream fulfilled by enrolling yourself for the study in medicine. You can choose your desired medical course from General Medicine 5 years, Dentistry, Pharmacy, Nursing, Foundation Course Programs, and more offered in the English. What Makes Georgia the Favorite Destination for MBBS Course? You will come across a number of the favorable reasons that makes the European country Georgia the favorite destination for the MBBS study program. The fee for MBBS in Georgia is low and is easily affordable. Now students coming from any family background can fulfill their dream of seeking admission in the top Medical Universities in Georgia. The country has good environment for studies and has peaceful surrounding in and around the university areas. Moreover, the climate, accommodation, the sources of entertainment, and better quality food are the key attractions for the foreign students determined to complete MBBS from Georgian Medical Universities. 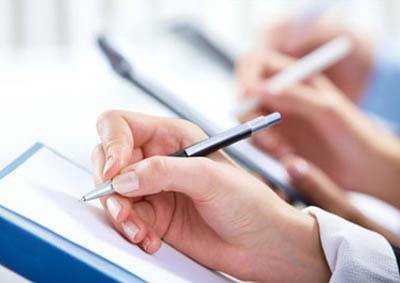 Students have the liberty to make his\her exclusive choice when it comes to the admission in MBBS course program from the reputed Georgian Medical Universities. We at Study Sevenseas have facilitated the 24×7 support to our students interested in the Overseas Studies. We are a single destination in Delhi, India for the complete admission solution to your MBBS studies program in the international countries including Georgia. You can drop as an email or contact us using our voice based mobile services from any part of the nation for the MBBS in Georgia admission solution. US and European pattern is followed for the program. Practical learning is the utmost priority for MBBS in Georgia. Scholarships and Rebates for Indian students on Merit basis. Georgia has signed LISBON CONVENTION which allows student to work in more than 50 countries. 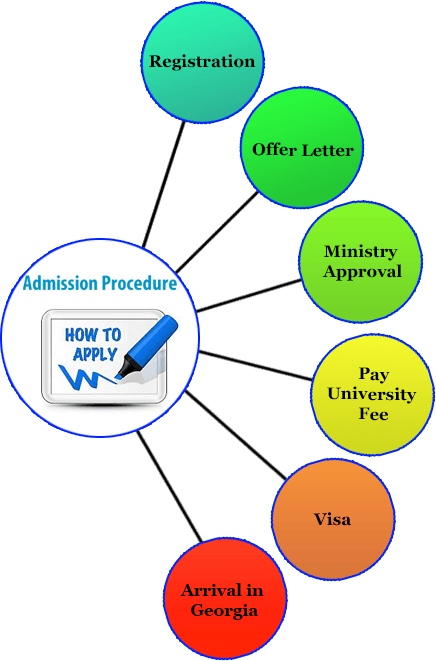 Post MBBS easy admission for Specialization in Europe. No entrance exam or other criteria for admission. No donation or hidden charges. Why To Choose Georgia Over All Other Countries? This is one of the prominent question we all keep thinking about. 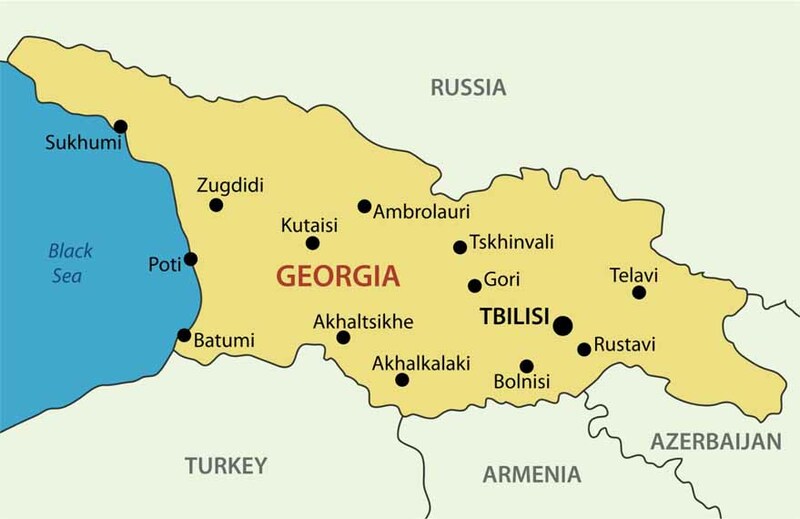 Here, is an answer for this- Georgia is a country which is located at the crossroads of Eastern Europe and Western Asia. it is surrounded to the west by the Black Sea, to the north by Russia, to the south by Turkey and Armenia, and to the southeast by Azerbaijan. The majority of Indians are choosing Georgia, to study Medicine. Studying in Georgia has many advantages in comparison to the United States of America and United Kingdom- it is cheaper, closer by, and offers the education system similar to the European education. In a survey it has been seen that the Indian students who have already studied in this country say that they felt safe being an international student, the people are friendly and keep a warm behaviour for diversity. Georgian people can speak English which makes the communication easy and they are very simple, friendly and sociable. Based on a crime statistics, in comparison to other European countries and USA the crime rate is extremely low. Living in the capital of Georgia, Tbilisi is very safe- you will find the police security everywhere. Streets are well lighted and cameras are installed in most of the areas and streets. Share self-attested photocopy of your certificate of 10th and 12th and mark sheets using our dedicated email address or submit it in person along with our registration amount. Apply for the passport if you do not have by following the necessary steps. You will receive your passport within 30 days. We can assist you in applying if you are not comfortable. Within 10 days you will receive your soft copy of Admission Letter. The original Admission Letter may take upto 25 days time. After you receive your passport, submit the front and back and deposit the second installment. Your passport is shared with the respective Medical University which sends your Invitation Letter within 30 days or earlier after completing the essential processes. The Invitation Letter is then submitted to the respective Embassy in India. You now have to pay your third installment. The Embassy stamps your VISA after reviewing your application within 15-20 days time. Your air tickets are booked for the country after receiving your stamped VISA and now you need to pay our final installment of the agreed Study Abroad Consulting fee. Please visit the documents required for your visa click on Georgia Visa Information. For details of visa click on For indian students wishing to study MBBS in Armenia and Georgia. We have been serving for a long time and have made a special place in the heart of the students, those who dream to go abroad and study. Well known and reputed education consultancy in the field of study abroad. Tie up with the registered universities and colleges of many European countries. Registered with the Department of Labour (DL) New Delhi. Easily approachable and best counselling service. Trusted by thousands of students and parents who went abroad for higher education. Hard working and dedicated team who not leave any stone unturned to give you great service. Lowest consultancy charges in the market. We have maintained international standards throughout. We provide the detailed information of MBBS in various countries and their Fee structure. Affidavit or the sponsership letter (notarized). 5 Passport size latest photographs. Offer letter from the university. We will apply for the offer letter. You will receive your offer letter. You need to pay for the registration fee and tution fee to the university. Your visa will be approaved within 8 weeks. You will get all the documents. What Makes MBBS In Georgia The Best Program MBBS Program Worldwide? Indian students are blessed with a wonderful chance to study overseas in an incredible country like Georgia as this country is known for its high quality of education in most of the fields like medical field. Highly educated faculty, extremely helpful and supporting through out the course, you will feel comfortable to clear your doubts. Teachers are always ready to extend their hands to help the students for any doubts and confusion. This makes MBBS in Georgia talk between the students all over the world. 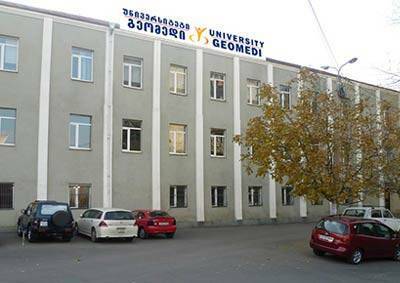 Teaching University Geomedi is all updated with the latest infrastructure and facilities required to impart a global standard of education. It maintain partnerships with other universities and colleges of the european countries,to facilitate healthy exchanges. Seminars and conferences are conducted to provide the students with knowledge about the current global scenario of the medical field. Students get to meet with experts and specialists of various background which helps them to grow their knowledge and understanding. The advantage about medical colleges in Georgia is that you get direct admission without appearing for any entrance exam to the university of your choice on the basis of the marks you have secured in your 12th standard.The admission process is very easy, affordable, with a good quality food of living and known as the safest country for the students. There are many good reasons that make us one of the most reliable Study Abroad Consultant in Delhi. We at Study Sevenseas make sure you get the complete solution to your MBBS admission need in the international medical universities under single roof. We support you at every stage and treat you as our family member. We have proven experience and have successfully got hundreds of the students from the different corners of India admitted in their dream medical college in Georgia and other European countries.